The efficiency of the boat motor is largely determined by proper selection of the propeller screw. It depends on the efficiency, speed and throttle response of the entire system. How to choose the right propeller? Use the easiest method of selection screw. If possible, compare the working qualities of the two or three screws with different pitches, alternately setting them to the same engine. Determine which screw would be more efficient under heavy load vessel (usually a screw with a smaller step), and which will provide high speed of movement with minimal load of a boat. Spend a few experiments, making measurements of fuel consumption at different loading of the boat. Determine for each of the screw optimal speed planing and maximum speed that can develop the ship. The motor should run about 5000 rpm at full throttle. When checking the operation of the screw pay attention to how much boiling water from the motor. If at the beginning of the movement the motor makes a sound like the blipping of the car and the motion control levers responds abruptly and sharply, it is required to install a propeller with a large pitch. With poor acceleration and slow release of the gliding mode will require a propeller with a smaller pitch. Choosing a propeller for boats, consider the terms of the planned operation of the vessel, including the permissible load. If you plan to travel light, then screw in the load, will make extra momentum. Pay attention to the number of blades of screw. Most have a maximum speed of propellers with three blades, but they are slower withdrawal of the vessel on plane. Four screws, on the contrary, can easily pass the gliding mode, but inferior in speed three blade. To ensure good progress is also important form of the blades of the screw. Choose elliptical blades, if you want to provide the optimal balance of speed and traction. 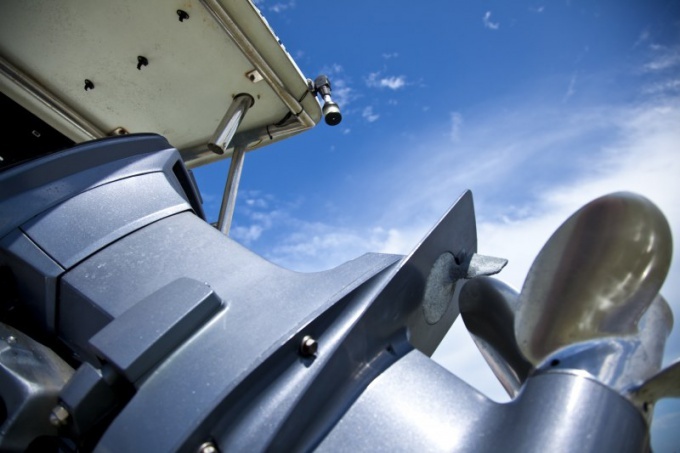 Some propellers have blades, tapering towards the tip, which reduces friction, such screws are preferred for high-speed boats. For movement in the overgrown with algae ponds are more suitable propeller with blades curved in the direction of rotation. When choosing the material of screw, keep in mind that for outboard motors installed on small boats, preferred aluminum screws. They are lighter and cheaper than brass.